It’s wintertime but we’re going racing anyway. 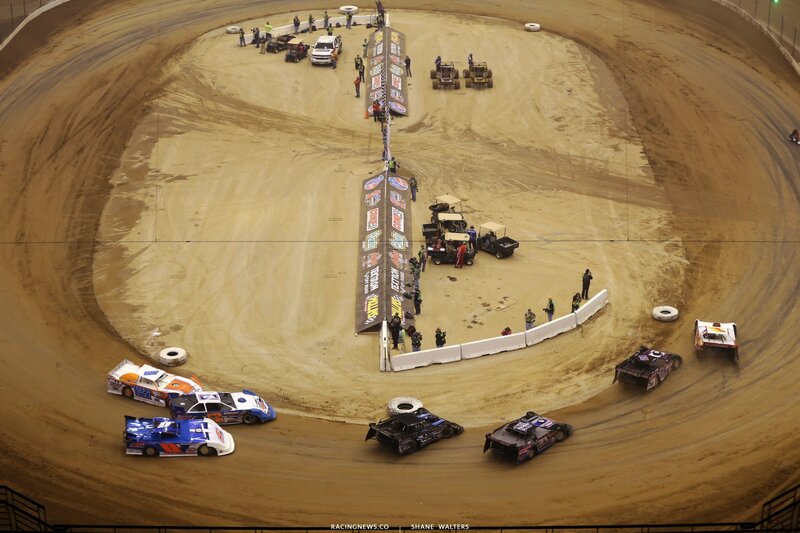 This weekend, The Dome at America’s Center will host the Gateway Dirt Nationals. 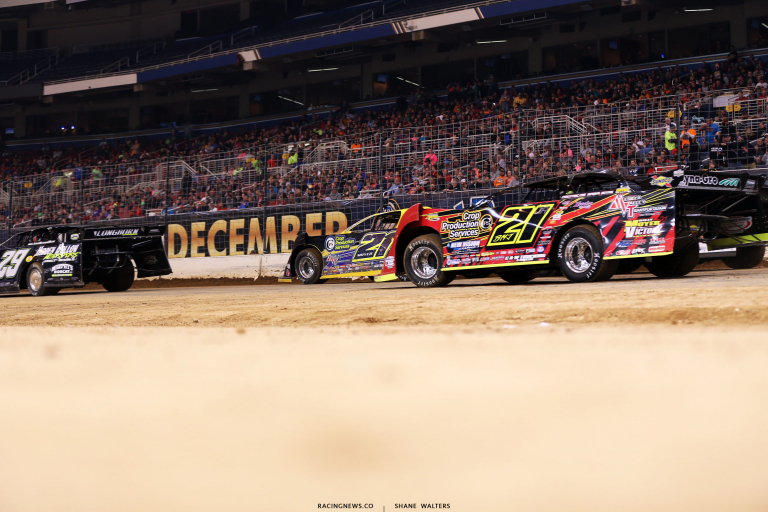 Action packed indoor dirt oval racing. View the full 2018 Gateway Dirt Nationals schedule below. Three classes are on the ticket this year. The super dirt late models and open wheel modifieds return for the third addition of the indoor dirt race. New for 2018, dirt midgets have been added. – THE PIT AREA AND ANY ACCESS IS CLOSED EXACTLY 1 HOUR AFTER THE LAST CHECKERED FLAGDROPS. ALL TEAMS AND PIT PASS HOLDERS WILL BE REQUIRED TO EXIT THE BUILDING WITH THE EXCEPTION OF TEAMS AND VENDORS MOVING OUT OF THE BUILDING. – TEAMS WILL BE REQUIRED LOAD EQUIPMENT AND HAVE THEIR TRAILERS PREPARED TO BE HOOKED UP AND EXIT THE BUILDING. TEAMS TRUCKS, TRANSPORTERS, TOTERS ETC WILL NEED TO GET IN LINE AND ENTER THE BUILDING AS DIRECTED BY EVENT MANAGEMENT. UPON DIRECTION FROM EVENT MANAGEMENT, COMPETITORS WILL BE ABLE TO HOOK UP THEIR TRAILERS AND EXIT THE BUILDING. THIS PROCESS WILL PROCEED UNTIL ALL COMPETITORS HAVE EXITED THE BUILDING. TRAILERS ARE NOT ALLOWED TO STAY IN THE BUILDING OVERNIGHT.